Take a route 15 road trip and visit these family-friendly attractions conveniently located along US Route 15! Click the links below or scroll down to learn more. 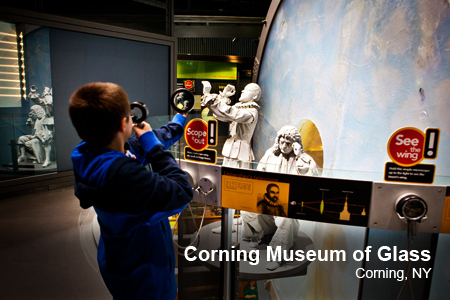 Visit any day of the week and you’ll find plenty to see and do at the Corning Museum of Glass. Explore 35 centuries of glass artistry; get hands-on with the science and technology of glass; try your hand at our You Design It, We make It! 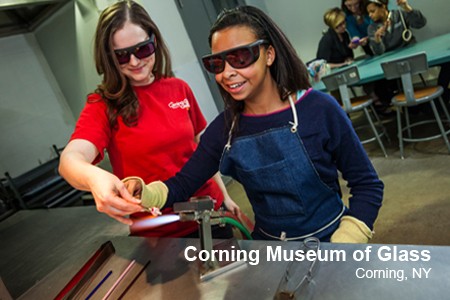 program; watch live glassblowing; and even Make Your Own Glass (additional fee). The Museum is open seven days a week, 9 am — 5 pm. And the best news of all? Kids and teens always receive free admission. 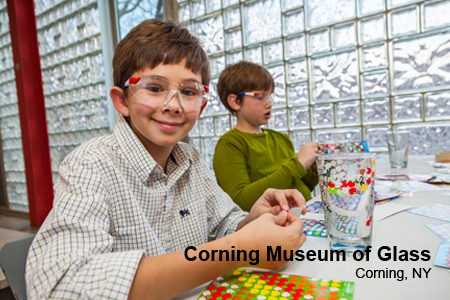 For more information or to plan your visit, visit www.cmog.org. 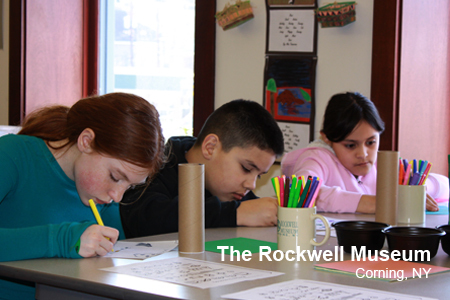 The Rockwell Museum collection tells the story of the American experience through a display of stunning art about America. The diverse collection includes a mix of contemporary Native American art with traditional bronze sculptures, landscape paintings and other works that embody America. 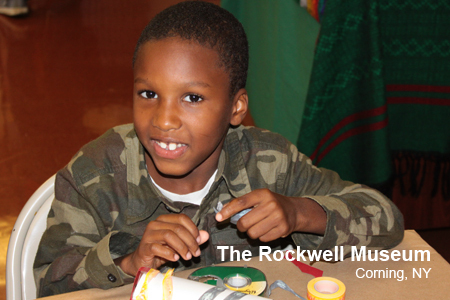 Housed in the beautifully restored 19th century Old City Hall building, The Rockwell is active in the local community and holds special events and educational programming with area public schools. Proceeds generated from these events support the more than 5,000 students who enter the doors each year for a special Museum experience. 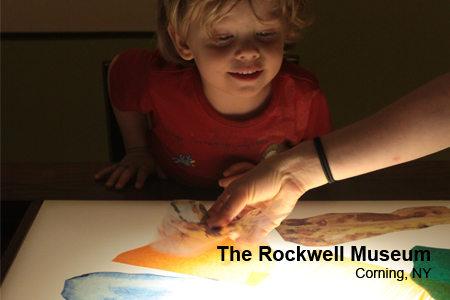 A family visit to The Rockwell Museum now includes drop-in activities in the new Family Exploration Studio. In this interactive space, visitors of all ages can drop-in and draw on the light table, piece together puzzles, design your own landscape, play on the magnetic board, match the tiles in a pottery demo, and read together in the book nook. As always, kids and teens are free. The Family Studio is open every day, 9 a.m. – 8 p.m. all summer. 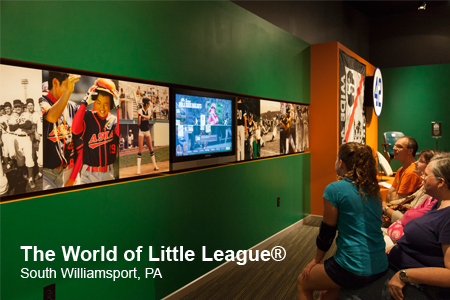 The World of Little League®: Peter J. McGovern Museum and Official Store re-opened to rave reviews in 2013 after undergoing a complete renovation updating it with all new exhibits and newly displayed artifacts. 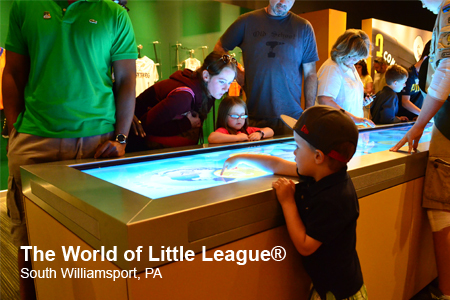 Old meets new with artifacts from Little League’s early days and interactive exhibits that connect the past with the present. There are Little League World Series championship game highlights to watch, rarely seen film footage of founder Carl E. Stotz and others, audio from early players, and interactive games including learning how fast you can run between home plate and first base. 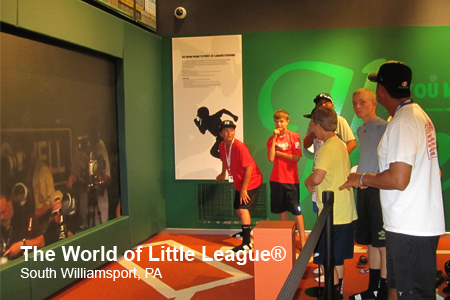 A trip to the World of Little League lets you see a genuine game-used Babe Ruth uniform; virtually visit any Little League in the world with the amazing Global Connections Touch Table, Presented by ACTIVE Network; experience what it is like to catch a fastball from former Major Leaguer Mike Mussina; and much more! 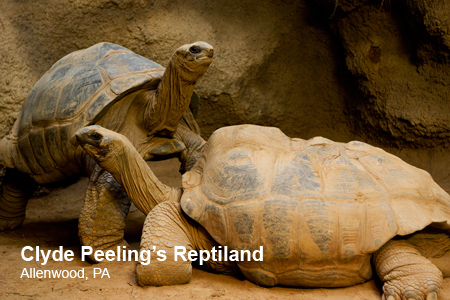 Reptiles and amphibians from around the world await discovery at this world-class specialized zoo. Explore the realm of mambas, cobras, vipers, pythons, and other rare and beautiful snakes. 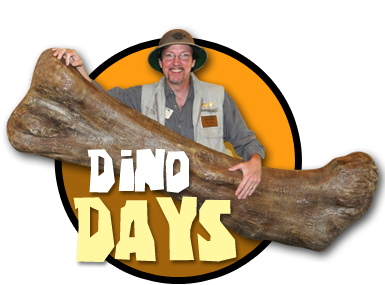 Experience giant alligators, gentle tortoises, curious lizards, and colorful frogs. 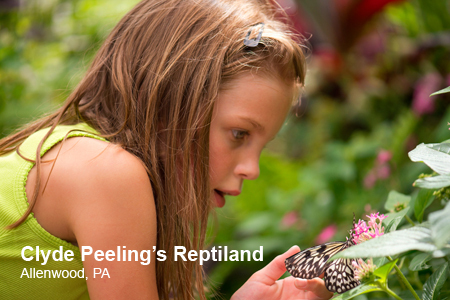 Stunning naturalistic habitats, fun interactive exhibits, live shows, and hands-on animal encounters make Reptiland an educational adventure for the whole family. 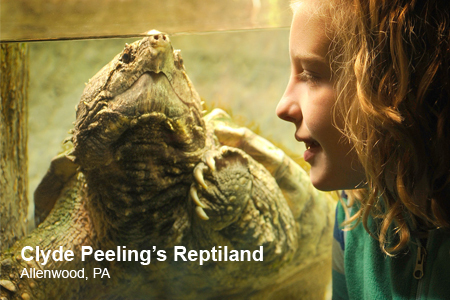 Reptiland is a year-round destination with modern indoor exhibits. During warmer months, tortoises, iguanas, and Komodo dragons venture into outdoor habitats. Seasonal exhibits and special events make each visit unique. Amazing animals, personal attention, and friendly experts—an intimate wildlife connection!